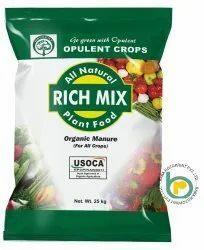 Pioneers in the industry, we offer organic manure packaging bag and zymes packaging bags from India. 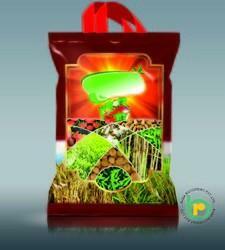 We are offering very fine quality Fertilizers And Pesticides Packaging Bag to our most reliable customers. Pesticides Packaging Bags made available in this range are eco-friendly in nature. These bags can be offered to the customers in various sizes and colors. Since our inception, we have been successfully fulfilling the exact requirements of the retail sector. Available with us is a unique range of pesticides packaging pouch that ensures that the pesticides are packed in a safe manner with properly sealed ends. Upheld ourselves with sound courtesies and skilled staff, we have developed as the main provider of predominant quality Zymes Packaging Bags. Our offered bags are accessible in various plans and sizes to provide food particular interest of our customers. For the assembling of these bags, our talented experts make utilization of value endorsed crude material and ultra advanced machines. Also, these pressing bags are accessible in different redid shapes as indicated by particular interest of our significant customers.